Sometime following the May 4, 2019 Municipal Election in Garland, Scott LeMay will be sworn.. The former Raytheon site, located at the corner of Jupiter and Miller Road, has been..
London Symphony Principal Violist performs with the Garland Symphony! 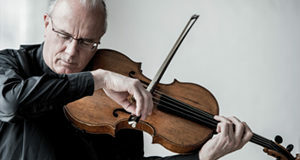 The Garland Symphony Orchestra presents “Across the Pond”, featuring former London Symphony Orchestra Principal Violist,.. The Garland Summer Musicals announces auditions for their 2019 Season on March 23-24 at the..